On last weeks “wittertainment” it was suggested that audiences at screenings of Annabelle have particularly poorly behaved. This mainly consists of talking, using mobile phones and generally anoying other patrons. Mark Kermode puts this down to the recent trend of “quiet, quiet, LOUD” films that are attracting none horror fans. This resulted in a listener suggesting there should be “Horror Fan Only Screenings” and to attend you must answer a quiz to prove your horror credentials. I thought as a bit of fun for Halloween I would set such a quiz. The questions are intentionally not obscure or too difficult. 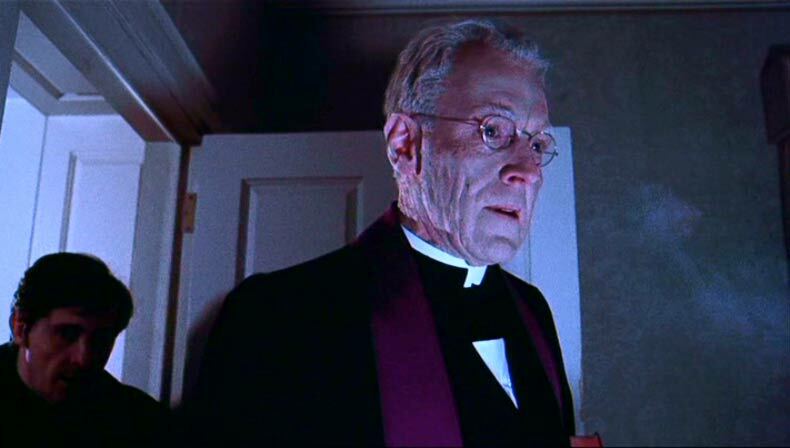 Name the priest played by Max von Sydow in The Exorcist (1973). 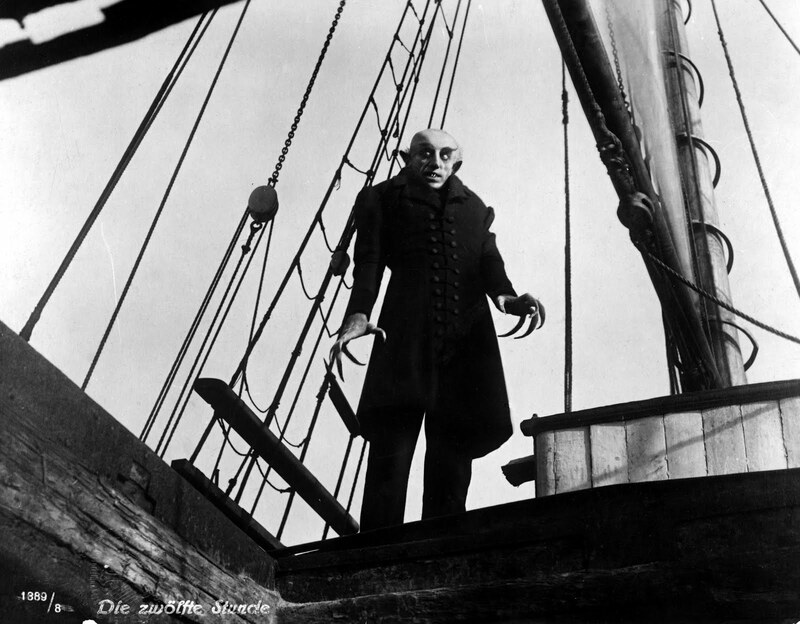 In Nosferatu (1922), how does Orlok die and what is significant about this in relation to the source material (Dracula – Bram Stoker 1897) and previous vampire films. 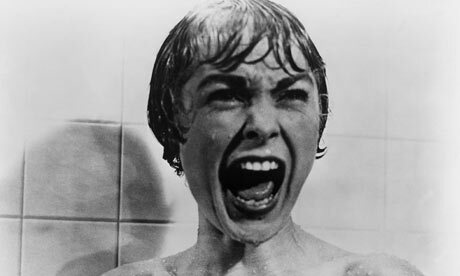 Alfred Hitchcock is reported as saying “33% of the effect of Psycho (1960) was due to the music”, who composed it? 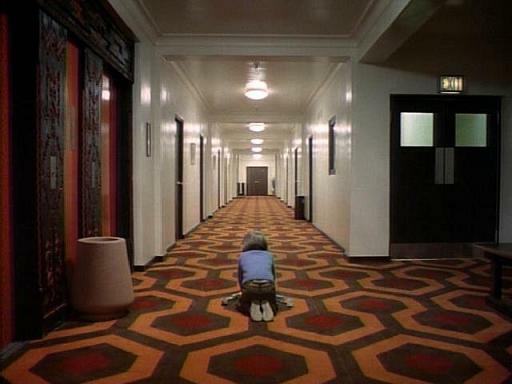 What is the Hotel in The Shining (1980) called? Who is the killer in Friday the 13th (1980)? 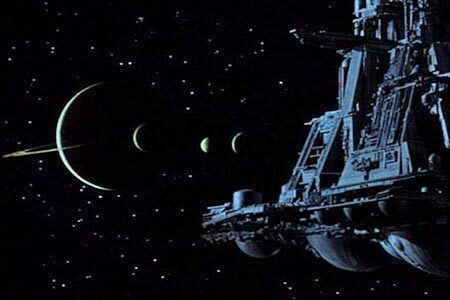 Name the ship and the planet from Alien (1979). 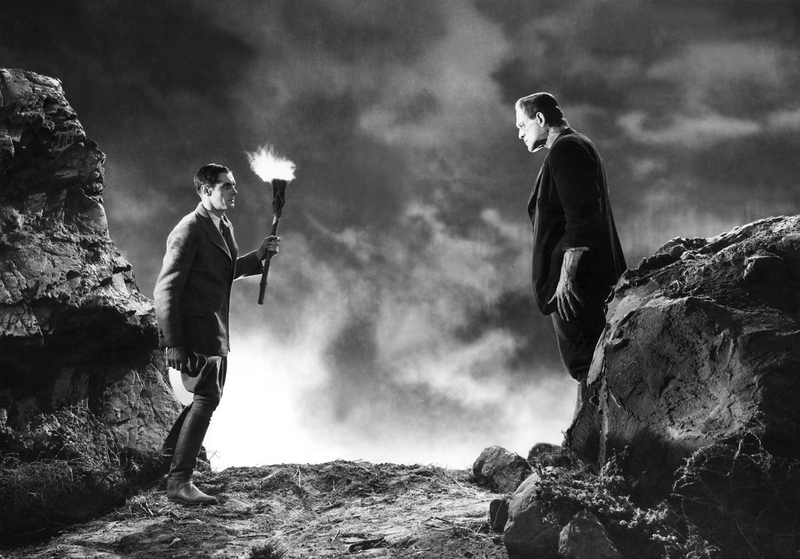 Who played the monster in Frankenstein (1931) and how was he credited? 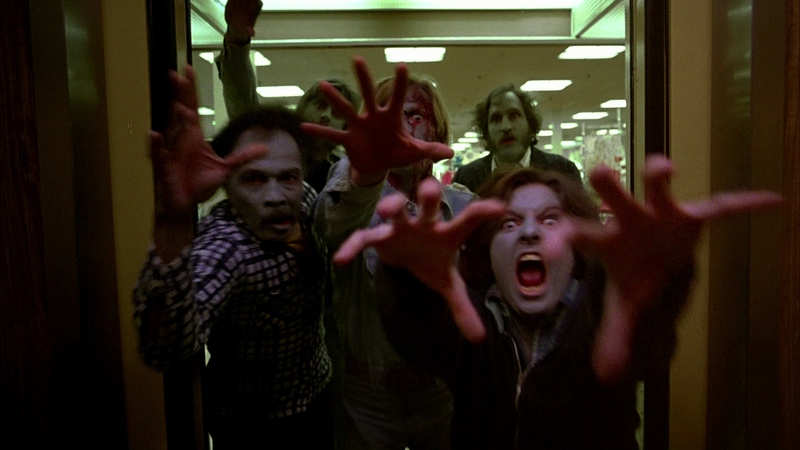 Most of the soundtrack music for George A. Romero’s Dawn of the Dead (1978) was composed by a film director. Name him. In Zombieland (2009), Columbus (Jesse Eisenberg) has 32 rules for survival, ten of which are identified in the film. Name three of them. Feel free to answer the questions or suggest some of your own. Quantum of Solace – The Perfect Bond Film? As excitement mounts for Bond 24 I have to ask the question is Quantum of Solace the Perfect Bond film? After The original announcement that Sam Mendes would not return for the Skyfall follow-up (it appears he will direct Bond 24 and 25, Daniel Craig’s final two films in the franchise) I suggested that it was an impossible film to follow and that the next film should go in a different direction. Rather than going bigger and better the next film should be a 90 minute action film, a stopgap before the next big storyline. But the more I look at it the more I think this has already been done. Quantum of Solace isn’t an action film, but it is none stop, one set piece neatly leads into another with little exposition or explanation. It is also the shortest of all the Bond films and over half an hour shorter than Daniel Craig’s other two films. After some initial positive reviews (Empire magazine gave it a glowing four star review) it has become the whipping boy of the franchise, unfairly denigrated for lack of coherence and fun. While it is true that it is darker than we have come to expect from Bond (I seem to remember calling it The Bond Ultimatum in homage to the Bourne films to which it owes a debt) this is a true reflection of the character from Ian Fleming’s source novels. Having read all the Fleming (and some of the other) Bond novels I often forget that many of the fans of the films have not read them and have a different image of the character. While Fleming’s Bond looked a little like Pierce Brosnan, his character is closer to Daniel Craig and Timothy Dalton. Fleming’s books aren’t John le Carré spy thrillers, they are pulp fiction in the vein of Dashiell Hammett and Raymond Chandler with the main character of a private detective substituted from for a spy. This has been lost over time. 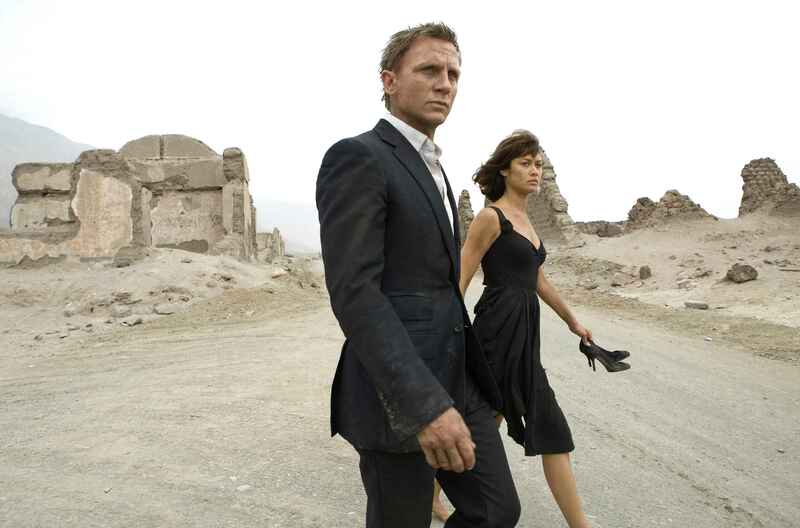 Quantum of Solace is slick and stylish but very European and rather than Hollywood. Directed by Marc Forster and shot by Roberto Schaefer it is possibly the best looking Bond film ever made, Sam Mendes/Roger Deakins’ Skyfall is the only other real contender for that honour. Despite popular opinion the plot is simple and coherent. In Quantum, the film also introduces a new criminal organisation, a SMERSH or SPECTRE for the twenty-first century. Bond needs a co-star to play off, here he has two “Bond Girls” Olga Kurylenko is perfectly cast as Camille but Gemma Arterton doesn’t really work as Agent Fields, not that she is given much to work with the character. She was clearly ever going to be a secondary supporting character. The only real valid criticism of the film is that it is the only Bond film that doesn’t work as a standalone film, It depends on Casino Royale to give context and to explain bonds motivation. But then the whole Bond experience has been enhanced by cumulative knowledge for years. If you have avoided the film or didn’t like it first time around, now is the time to watch/re-watch it. Quantum of Solace isn’t the best Bond film but it may well be a perfect Bond film! The world has changed a lot in the past sixty years, but some things don’t change, from the time of James Dean’s Jim Stark in Rebel Without a Cause to today all teenagers seek social acceptance. At one time or another every teenager has felt different, alien, or just misunderstood, that is why it is no surprise that when adapting Young Adult novels filmmakers have gravitated towards films characters who really are different: Percy Jackson (2010 & 2013) (son of Zeus), Blood and Chocolate (2007) (werewolf), The Mortal Instruments: City of Bones (2013), (Shadowhunter, a human with angelic powers), Beautiful Creatures (2013) (witch), I am Number Four (2011) (alien), Vampire Academy (2014) (vampire and dhampir). And while Bella in Twilight (2008 – 2012) is human her chosen boyfriend isn’t. This fits with the idea of someone who is accepted within a group wanting their chosen boyfriend/girlfriend to be accepted too. Over time we come to accept the world and the people around us. It doesn’t take a geniuses to see the dystopia of other books/films as a metaphor for the world from a teenage prospective. Think: The Hunger Games (2012 – 2015), Tomorrow When the War Began (2010), How I Live Now (2013). But what is the next step? Films where there is both dystopian setting and a lead character who “different” in some way: Ender’s Game (2013), Divergent (2014), The Giver (2014). The latest film in this YA movie genre The Maze Runner (2014) is on the edge of this new sub-genre with a dystopian setting and a charters whose difference id the catalyst for the plot. My thoughts on the genre are mixed; the crossover success to the mainstream proves the quality of some of the films, I have seen all the films mentioned above and enjoyed many of them, The Hunger Games being the standout. But it seems the genre is becoming diluted. When asked if I had seen Beautiful Creatures, it took me a few minutes to remember what is was and decipher it from The Mortal Instruments. I can remember the premise and a few of the scenes from Blood and Chocolate, I am Number Four and Tomorrow When the War Began but can’t actually remember the plot. To put this in context I can remember great details of films I have seen once twenty or more years ago. 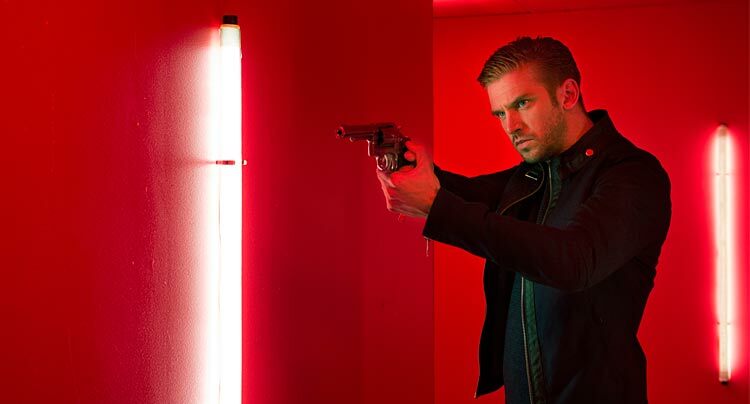 But back to those mixed thoughts, I like Dystopian movies, for example I love Mad Max, 12 Monkeys and Blade Runner, therefore I worry the genre will collapses under its own weight. Think of all the Vampire movies after Twilight and not only how few decent vampire movie have been made in recent years, but how many of them are actually horror films. I also worry that the genre is been taken away from more brutal films like Doomsday (2008) and Battle Royale (2000) (I’m sure the muted remake will be 12A) in favour of more teen friendly films. But it isn’t just about teen movies taking over the genre, they are also stopping other films getting made. 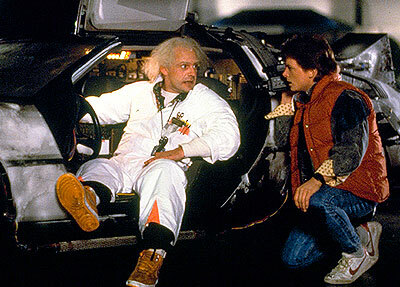 Where is this generations Back to the Future (1985) or Ferris Bueller’s Day Off (1986)? Where is the fun in teen movies? The simple answer, as teen movies appeal to adult audiences the fun is in the mainstream with films like Guardians of the Galaxy and Edge of Tomorrow (both 2014), both of which have a 12A rating in an attempt to crossover to the teen market. There are some other types of films creeping through, The Perks of Being a Wallflower (2012), that I loved and The Fault in Our Stars and If I Stay (2014) that I haven’t seen. And that is a good thing, all films shouldn’t appeal to all people, it is righty that as a thirty-something man I am not interested films aimed at younger or female audience. 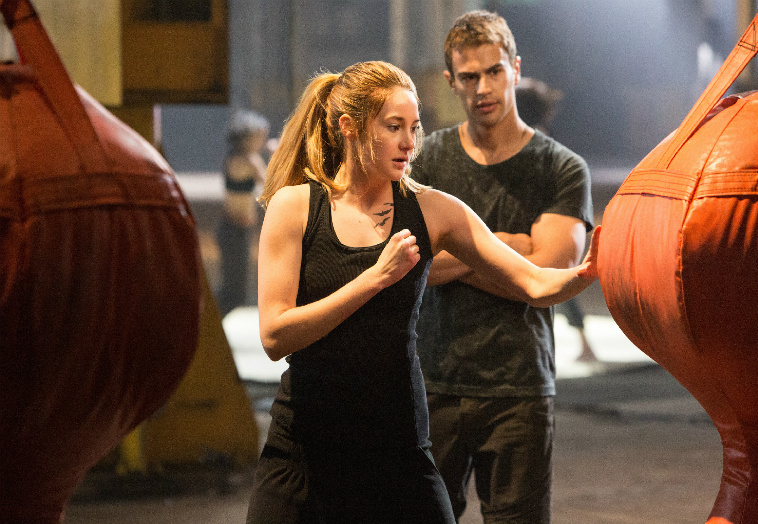 What will be the next trend of YA and teen movies? I have no idea, but am sure someone does, it is more than likely already in the pipeline. 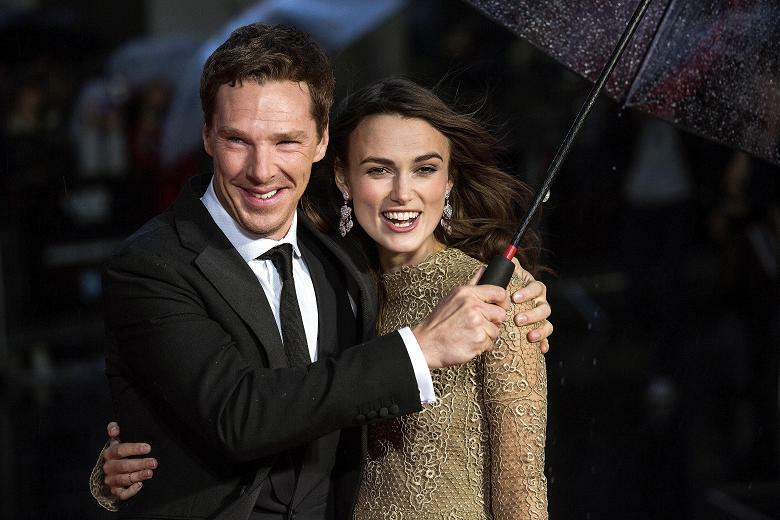 Last night I attended the European premier of The Imitation Game. This isn’t entirely true, the European premier at The Odeon Leicester Square doubled as the opening film the 58th BFI London Film Festival. It was simultaneously screened across the country at 30 cinemas. While the stars squelched down the red carpet in pouring rain I was sat 120 miles away in the comfort of Cineworld Birmingham. 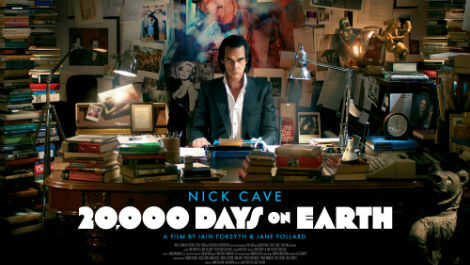 Given the absence of a large film festival anywhere in the UK outside London and Edinburgh I jumped at the chance of seeing the film over a month before its general release. 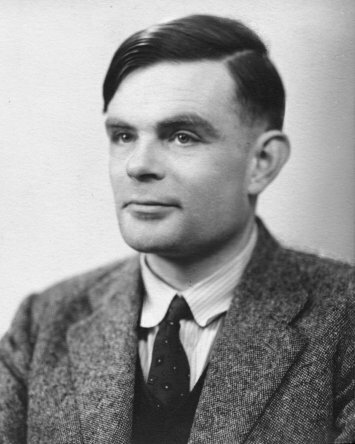 By way of introduction, Alan Turing was a British mathematician and computer scientist. An early pioneer of the concepts of “algorithm” and “computation” he is regarded as the farther of computing, his “Turing machine” is considered a forerunner of what we now know as a computer. During World War II he worked at Bletchley Park, Britain’s code-breaking centre. As the head of “Hut 8” he was largely responsible for cracking Naval Enigma. Winston Churchill is believed to have said Turing made the “single biggest contribution to Allied victory”. A decade later he committed suicide after being persecuted by the authorities for being homosexual, a crime at the time. I first became aware of Alan Turing in the late 90’s when I read Robert Harris’ excellent novel Enigma (published in 1995 and made into a film of the same name in 2001). A fictional account of the battle to decrypt Enigma. Although fictional the film gives a good overview of the exploits of the cryptanalysts of Bletchley Park and encouraged me to read more of the true story that was just becoming public knowledge fifty years after the fact. 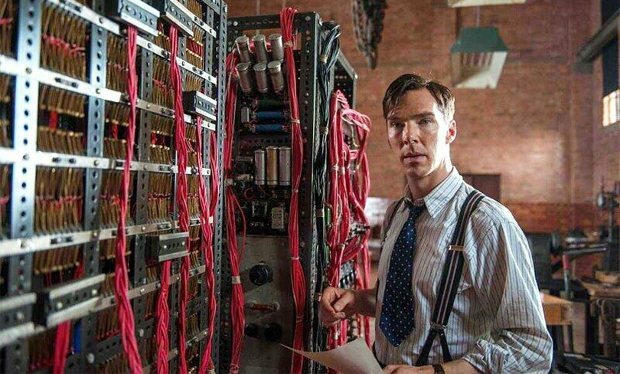 Benedict Cumberbatch is perfectly cast as Alan Turing and to the films credit isn’t afraid of showing the antisocial and socially awkward side of his character. His performance is heartfelt and convincing making it captivating. The supporting cast is excellent with Matthew Goode and Mark Strong being as good as ever and Keira Knightley proving her critics wrong again. 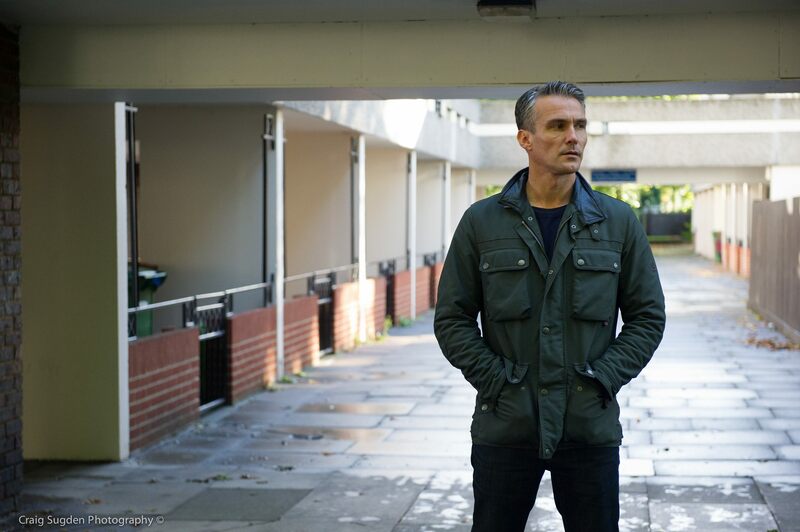 Based on Alan Turing: The Enigma by Andrew Hodges and directed by Morten Tyldum (best known for Headhunters (2011)). 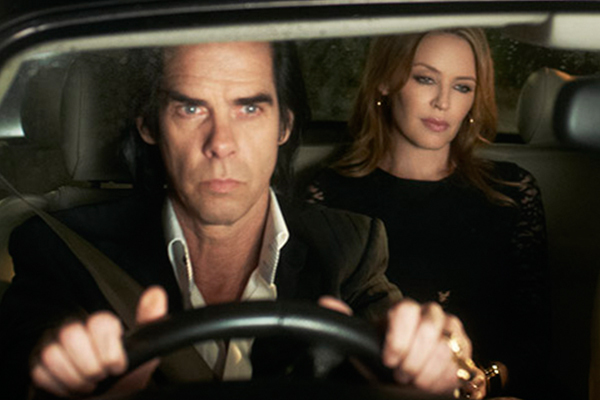 The film is well paced and constructed but does suffer from a lack of focus. Told in flashback from his arrest for indecency (for being gay) in 1951 to his school days and his exploits during the war. 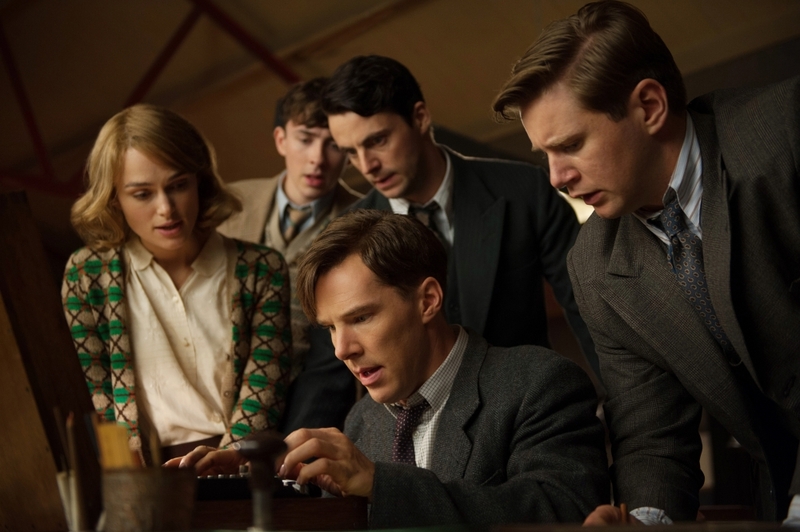 The film doesn’t know if it wants to be a biography of Turing or a story of the cracking of Enigma. Personally I would have liked to have seen one or the other, either a full bio-pic or a more in depth look at the Bletchley Park years. Anyone who has read up on the subject will learn little from the movie and are likely to enjoy it as a film, but those with little or no knowledge it is perfect introduction. Not without its faults, but an enjoyable and informative film and a fitting tribute (largely thanks to a monumental performance from Benedict Cumberbatch) to a British war hero who is finally getting the recognition he deserves. Well worth checking out when it goes on general release 14 November 2014. After averaging about seven movies a month through the summer I have been making up for lost time with sixteen trips to the cinema in September. 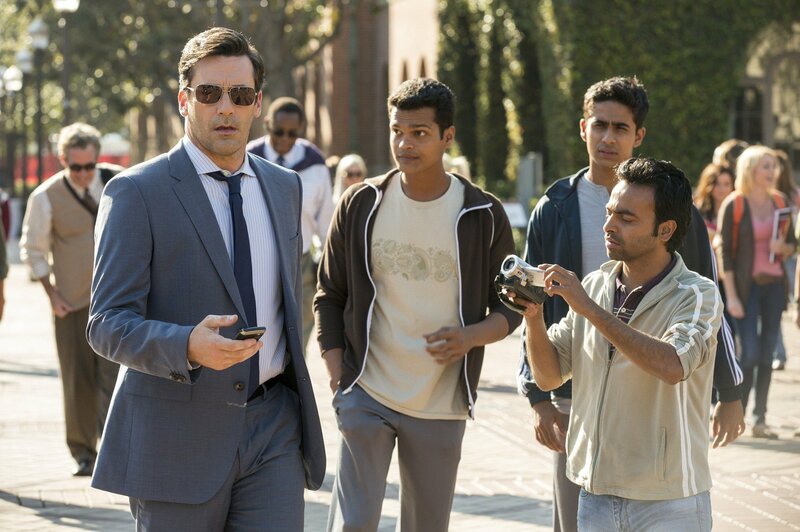 Million Dollar Arm: The true story of a down on his luck sports agent stage sets up a talent show to find Indian crickets that he can turn into Major League Baseball pitchers. A little lightweight but fun. As Above, So Below: Found footage horror movie set in the Paris catacombs. Unoriginal but surprisingly enjoyable despite the ludicrous found footage. Perdita Weeks makes a likeable star I expect to see more of. The Guvnors: British crime/gangster drama. Turning football hooligans into sympathetic, even heroic characters leaves a bad taste, but the film is actually very good. Before I Go to Sleep: Amnesia thriller. Nicole Kidman is good, Colin Firth has fun playing against type but Mark Strong steals the show as always. Comparisons to the far superior Memento are inevitable. The Hundred-Foot Journey: An Indian family move to France and set up a restaurant opposite Michelin-starred restaurant. Om Puri steals the show as the patriarch of the family. The second film this year that you shouldn’t watch on an empty stomach. A Most Wanted Man: A German intelligence officer is on the trail of Chechen illegally immigrates who may be in Hamburg to help fund terrorists. A well paced and believable thriller. 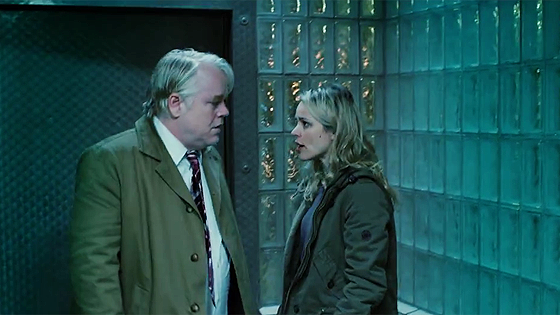 Philip Seymour Hoffman reminds us just how good he is in this adaptation of a modern John le Carré novel. A Walk Amongst the Tombstones: Liam Neeson plays another man with a very particular set of skills, but this is a very different film to Taken. A more thoughtful movie than I was expecting, based on number ten of eighteen novels, it could be the start of a more interesting franchise for Neeson. Magic in the Moonlight: A renowned stage magician is hired to debunk a spiritualist. 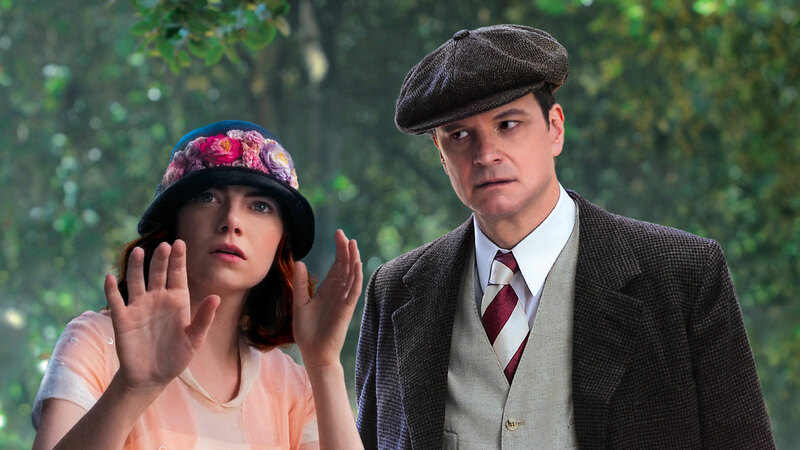 Colin Firth and Emma Stone are as good as you would expect. 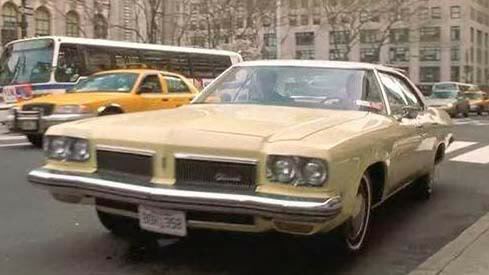 Woody Allen’s direction is light and well paced but his script lacks and gravitas. The Riot Club: Based on the acclaimed play Posh, that in turn is a thinly disguised take on real life institutions like the Bullingdon Club. Entertaining but lacks any pathos, it makes a couple of the characters a little too sympathetic and the rest are just caricatures. The Giver: In a dull but supposedly perfect future there is no is no conflict but there is also no emotion. Things begin to change when a young man who can see beyond the veneer of society gets a new job. Effective and enjoyable low-fi, sci-fi. What We Did on Our Holiday: A couple try to hide their separation from the family at a 75th birthday party but their children don’t find lying as easy. Improvised scenes with the kids provide some very funny moments.